In the Ancient time, on the top of the Capitoline Hill there was the most important building in Rome: the temple dedicated to Jupiter Optimus Maximus. 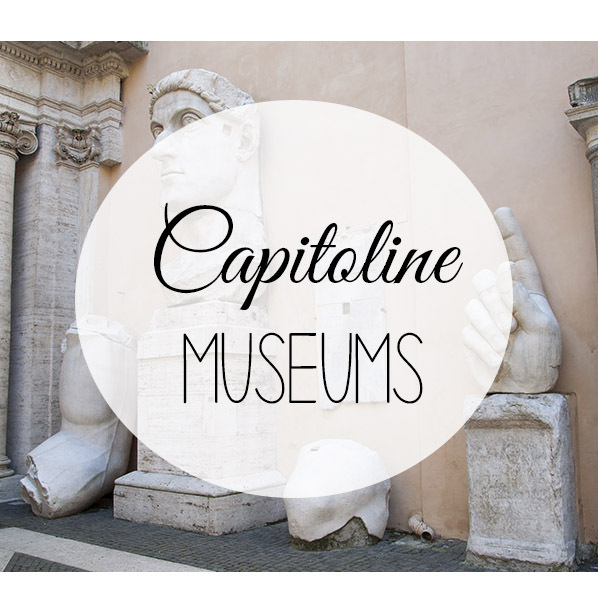 Today in the same are, there is the Town Hall and the Capitoline Museums, probably the oldest collection in the world (created in the 1471 by the Pope Sistus IV). Walking across galleries and frescoed rooms, you'll discover myths and histories of Rome, admiring famous and meaningful Ancient sculptures. and the original bronze statue of Marcus Aurelius, one of the most loved Roman Emperors. Meeting point: Piazza del Campidoglio 1, at the statue of Marcus Aurelius. Details will be provided at the moment of the booking. -At the entrance we must check in bags, backpacks, pushchairs and umbrellas. the cloakroom is free.